This series presents reviews of topics in applied social psychology. 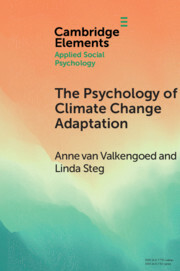 Links between social psychology and applied topics have been longstanding and substantial, and many social psychologists both past and present have worked to use social psychological research to address pressing social issues, from poverty and prejudice to work and health. Papers in the series will provide a review of the research in a particular area while foregrounding the authors' specific research focus. The length allows authors to develop their ideas and provide context for their research. Authors will discuss applications of their research findings and describe potential topics for future study.